For many years Ludek Niedermayer was deputy central bank governor of the Czech central bank (CNB). Ludek did an outstanding job at the CNB where he was a steady hand on CNB’s board for many years. I have known Ludek for a number of years and I do consider him a good friend. However, we often disagree – particularly about the importance of money. This is an issue we debate whenever we see each other – and I don’t think either of us find it boring. Unfortunately I have so far failed to convince Ludek. Now it seems we have yet another reason to debate. The issue is over the impact of currency devaluation and the monetary transmission mechanism. The Czech economy is doing extremely bad and it to me is pretty obvious that the economy is caught in a deflationary trap. The CNB’s key policy rate is close to zero and that is so far limiting the CNB from doing more monetary easing despite the very obvious need for monetary easing – no growth, disinflationary pressures, declining money-velocity and a fairly strong Czech koruna. 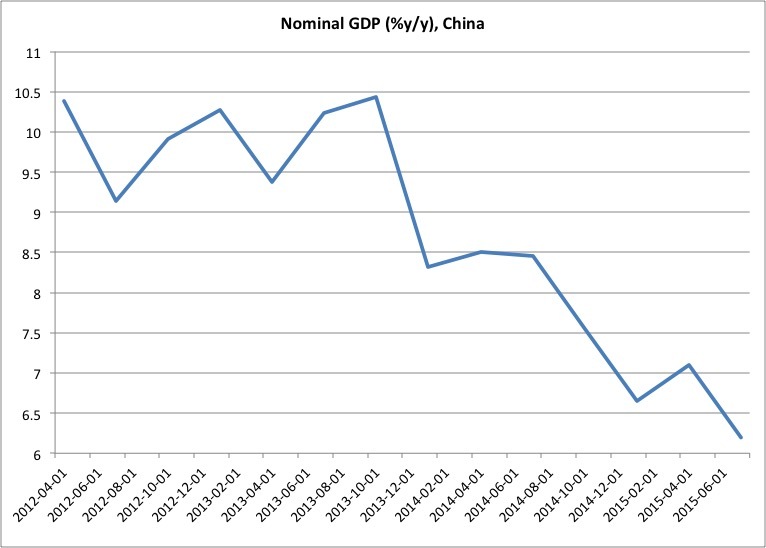 However, the CNB seems nearly paralyzed. Among other things because the majority of CNB board members seem to think that monetary policy is already easy because interest rates are already very low. Looking at the Czech economy makes it pretty clear that monetary policy is not easy. 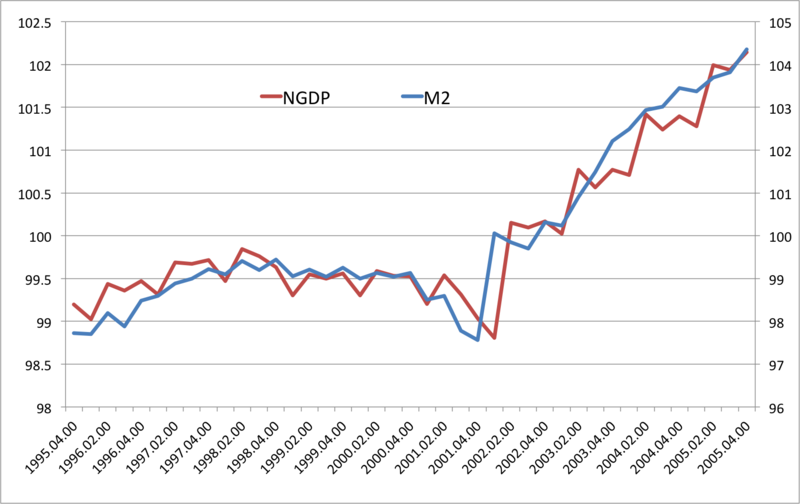 If monetary policy was easy then property prices would not be declining and nominal GDP would not be contracting. If monetary policy was easy then inflation would be rising – it is not. It therefore obvious that the Czech economy desperately needs monetary easing and since interest rates are already close to zero it is obvious that the CNB needs to use other instruments to ease monetary policy. To me the most obvious and simplest way to ease monetary policy in the present situation would be to use the exchange rate channel. The CNB should simply buy foreign currency to weaken the Czech koruna until a certain nominal target is met – for example bringing back the level of the GDP deflator back to its pre-crisis trend. The best way to do this would be to set a temporary target on Czech koruna against the euro – in a similar fashion as the Swiss central bank has done – until the given nominal target is reached. This is what Lars E. O. Svensson – now deputy governor of the Swedish central bank – has called the foolproof way out of deflation. It should be stressed that I am slightly paraphrasing Singer’s comments, but the meaning is clear – governor Singer full well knows that monetary policy works and I certain agree with him on this issue. Unfortunately my good friend Ludek Niedermayer to some extent disagrees. Ludek here seems to argue that the way a weakening of the koruna only works through a “competitiveness channel” – in fact governor Singer seems to have the same view. However, as I have so often argued the primary channel by which a devaluation works is through the impact on domestic demand through increased inflation expectations (or rather less deflationary expectations) and an increase in the money base rather than through the competitiveness channel. Let’s assume that the CNB tomorrow announced that it would set a new target for EUR/CZK at 30 – versus around 24.90 today (note this is an example and not a forecast). Obviously this would help Czech exports, but much more importantly it would be a signal to Czech households and companies that the CNB will not allow the Czech economy to sink further into a deflationary slump. This would undoubtedly lead households and companies to reduce their cash reserves that they are holding now. In other words a committed and sizable devaluation to the Czech koruna would lead to a sharp drop in demand for Czech koruna – and for a given money supply this would effectively be aggressive monetary easing. This will push up money-velocity. Furthermore, as the CNB is buying foreign currency it is effectively expanding the money supply. With higher money supply growth and higher velocity nominal GDP will expand and with sticky prices and wages and a large negative output gap this would likely also increase real GDP. 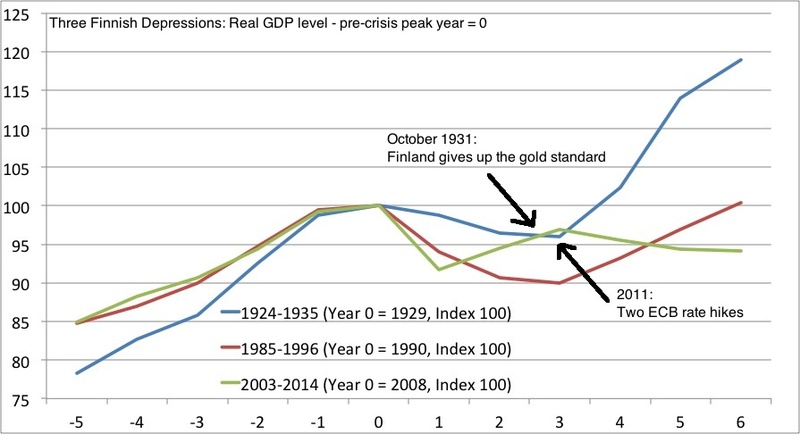 This would be similarly to what happened for example in Poland and Sweden in 2008-9, where a weakening of the zloty and the Swedish krona supported domestic demand. Hence, the relatively strong performance of the Swedish and the Polish economies in 2009-10 were due to strong domestic demand rather than strong exports. Again, the exchange rate channel is not really about competitiveness, but about boosting domestic demand through higher money supply growth and higher velocity. The good news is that the CNB is not out of ammunition and it is similarly good news that the CNB governor Singer full well knows this. The bad news is that he might not have convinced the majority on the CNB board about this. In that sense the CNB is not different from most central banks in the world – bubble fears dominates while deflationary risks are ignored. Sad, but true. PS I strongly recommend for anybody who can read Czech – or can use Google translate – to read the entire interview with Miroslav Singer. Governor Singer fully well understands that he is not out of ammunition – that is a refreshing view from a European central banker.